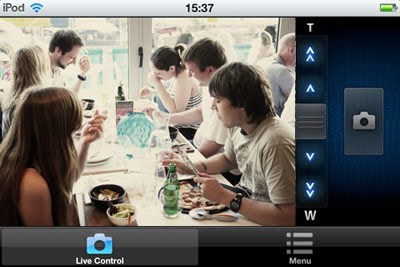 Taking full advantage of the Lumix FX90's WiFi capability, Panasonic has unveiled its companion apps for both iOS and Android devices. Throwing in shutter functionality and zoom control alongside a larger viewfinder, it's pretty much a glossy dumb remote; there's no further features to make the most of your precious smartphone, although the camera itself is already capable of linking up your camera shots with your major social network of choice. The app requires a firmware update on the camera, but it should ensure all those self-portraits really pop in the future. Brett's 2p'orth: If you want some iTunes cover art, I've composed a piece, available here. You're welcome. The 55EM9600G possesses hyper-rich organic colours and a carbon fiber back has let it shed an extra millimeter of thickness, down to 4mm. All the AV connectors are at the back, while a trio of USB ports sit on the side for those who often share media from their cameras and flash drives. 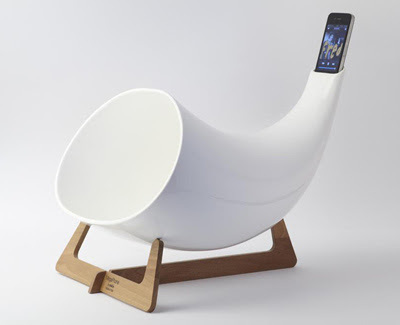 MegaPhone is a passive amplifier made of ceramic for the iPhone, available in white, black or *gulp* gold. Researchers have revealed details of a promising way to make a fundamentally different kind of computer memory chip. The device is a 'memristor', a long-hypothesised but only recently demonstrated electronic component. 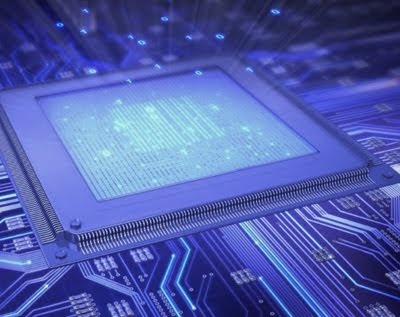 A memristor's electronic properties make it suitable both for computing and for far faster, denser memory. The name is a portmanteau of memory and resistor, because its resistance changes depending on how much current has passed through it; it "remembers" that value even after power is turned off. The energy required to switch the state of [memristors] is a hundredth of that in existing flash memory, and significantly faster. "Flash memory devices switch at 10,000 nanoseconds (billionths of a second) or so, and in our device we can't measure how fast it is," Dr Kenyon said. "Our equipment only goes down to 90 nanoseconds. It's at least as fast as that and probably faster." 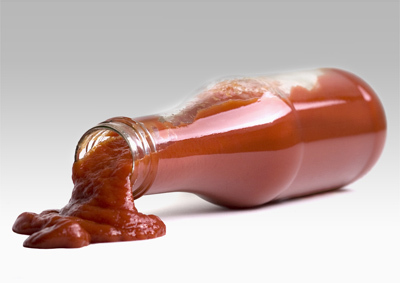 The market for sauce bottles is worth $17 billion. If all those bottles had this coating, [MIT] estimate that we could save about one million tons of food from being thrown out every year. The ultra-light carbon-fiber frame weighs only 1,600 grams (3.53 lb). The bicycle has three levels of power: You can either provide all of the juice by pedalling, provide some of the juice with the electric motor taking up the slack, or have the electric motor do all the work. Beyond that are two 'wheelie' modes, where you're meant to tip the bike back on its rear wheel and ride it like a Segway, with the motor taking care of the balance and braking or accelerating when you lean forwards or backwards. 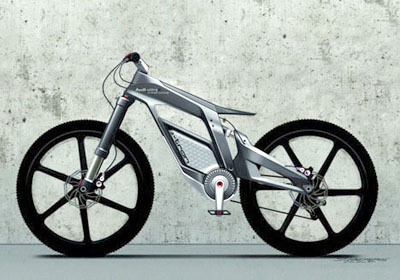 The bike is intended for 'sport, fun and tricks' and has a top speed of 50 miles per hour. Earlier today, a Soyuz-FG rocket lifted off from the Baikonur Cosmodrome in Kazakhstan, carrying an International Space Station (ISS) crew into orbit. Baikonur, Russia's primary space launch facility since the 1950s, is the largest in the world, and supports multiple launches of both manned and unmanned rockets every year. 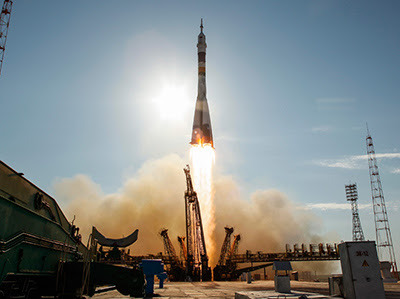 With the U.S. manned space program currently on hold, Baikonur is now the sole launching point for trips to the ISS. Gathered here is a look at the facility, some of the cosmonaut training programs in Star City outside of Moscow, and a few recent launches and landings - plus 3 spectacular long-exposure images of Earth from the ISS. 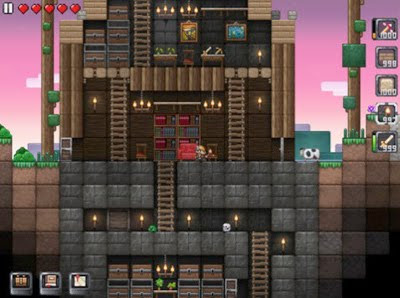 If you like Minecraft and have an iOS device, this game is getting very good reviews. The Momofuku restaurants are famous for their hip, worldly take on Asian cuisine. What’s less well-known are their secret ingredients: mould and bacteria. The fermentation enabled by these microbes is vital to traditional foods from miso to pickles. Crush cranberries and add Lactobacillus from yogurt whey, plus salt, sugar, and a little water. Wait two weeks. The result: a bright-red vinegar that’s even more acidic than the berries themselves. Mix cabbage with spices and salt brine: Several strains of naturally occurring Lactobacillus will start pumping out acids that lower the pH, killing off pathogens and imparting a mouth-tingling tang. Hit steamed rice or barley with Aspergillus oryzae and you get koji. This fungus is a mainstay of Japanese cuisine, used to make soy sauce, miso, and bonito. The mold Pichia burtonii forms a white film on this piece of pig flesh, much like the rind on a hard cheese. 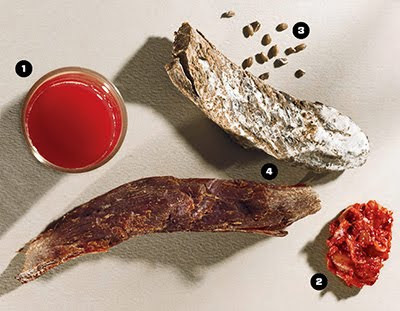 It facilitates the curing process, transforming smoked pork tenderloin into a rich, savory, dried bushi ready to be sliced thin and added to ramen. What distinguishes Intro is the strongly expressed geometric makeup and structure. 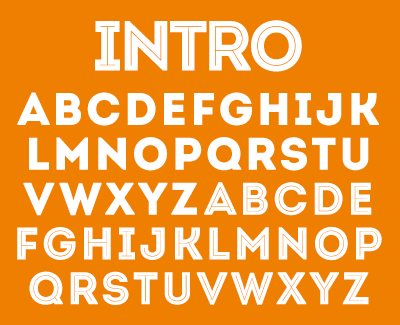 The basic letters of the Alphabet like “A”, “O” and “H” are built on principles of simple geometric forms – triangles, circles and squares. We've been promised an exciting future with gadgets perpetually powered by magical fuel cells, and a company called Lilliputian Systems is taking the first steps towards tomorrow with its fuel cell-based USB charger. 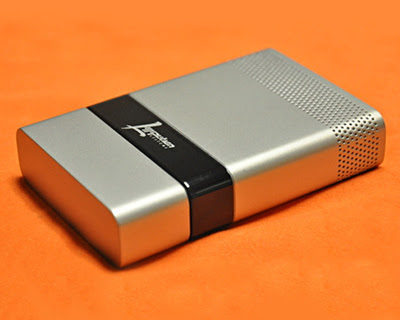 Unlike backup batteries which have to be plugged into a wall, the fuel cell charger uses butane-filled cartridges — about the size of a cigarette lighter — to generate power. Each cartridge is able to recharge a dead iPhone twelve times. The fuel cartridges are allowed on planes. 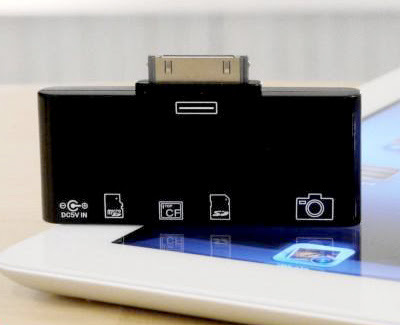 M.I.C has announced their new all-in-one iPad card reader. 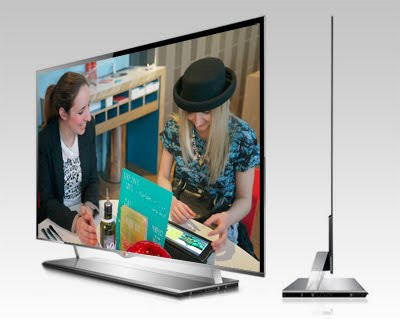 It supports SD, CF, microSD, 600X CF and Class 10/UHS-I SD cards. It also features a USB port. Available from M.I.C. Gadgets for $32.90. 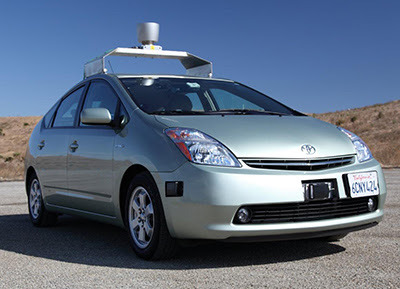 According to software engineer Sebastian Thrun, the car has covered 140,000 miles with no accidents, other than a bump at traffic lights from a car behind. 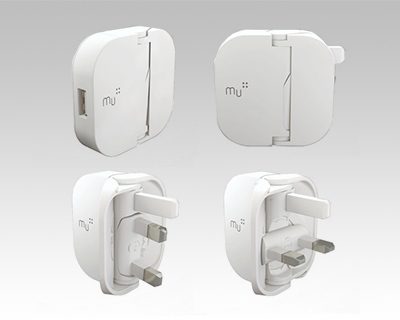 Based on the award-winning Folding Plug design concept, the Mu reduces the overall traditional plug size by 70%, folding to just 14mm thick. "The Panasonic Lumix DMC-ZS20 is a well-designed, easy-to-use travel zoom camera that stuffs a 20X Leica lens into a body just 1.1 inches thick." "Other features on ZS20 include its Intelligent Auto mode which is probably the best point-and-shoot mode in the business. If you have no idea how to operate a camera, just set the mode dial to iA mode, and the camera will do the rest." "Camera performance is very good in most respects, with only two areas in which the camera lags a bit. The first area is startup time which, at 2 seconds, is a bit slower than average. Focusing times, on the other hand, are very responsive, and are among the best you'll find on a compact camera." "While the ZS20's photo quality is quite a bit better than on the ZS10 that came before it, there's still a fair amount of room for improvement. Exposures were generally accurate, though since the camera has the tendency to clip highlights, you might want to bracket in high contrast situations." "If you can live without the GPS, touchscreen LCD, 1080/60p movie mode, and don't mind a 16X lens, then the DMC-ZS15 is also worth a look. 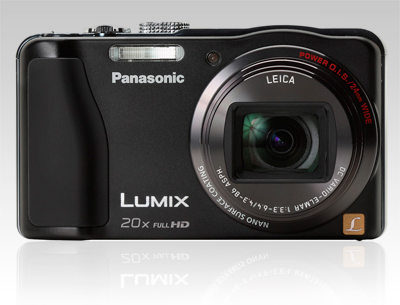 Since it uses the FZ150's sensor, I have a feeling that image quality will be better than the ZS20's, as well." 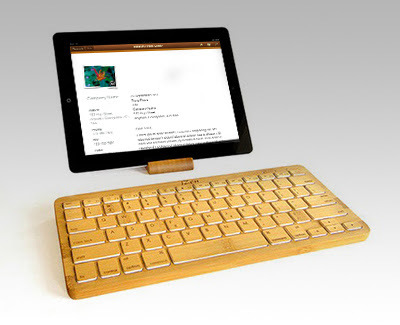 The iZen bamboo keyboard is the first eco-friendly bluetooth keyboard on the market. Hand-crafted out of 92% bamboo, its low profile, portable and natural design will make everyone who walks by stop and stare. 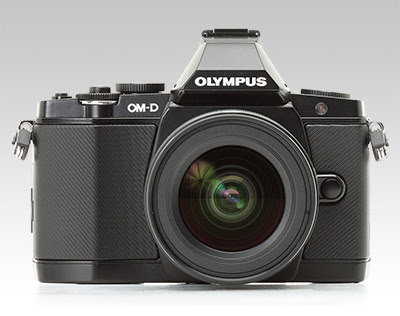 Digital Photography Review have published a full review of Olympus' top-of-the-range M43 camera. "The E-M5 sets a new benchmark for Micro Four Thirds images, thanks to a modern sensor and Olympus' excellent JPEG engine. It continues to produce good results in lower light than was previously practical and produces attractive output in all but the most challenging of situations." "The E-M5 can't completely overcome the light capture disadvantage brought by its smaller sensor, compared to APS-C, but it reduces it to the point that it's irrelevant for almost all practical purposes." "Despite being small, the E-M5 handles nicely - a well thought-out twin-dial control system with a handful of customizable buttons means you have most of the settings you're likely to want close to hand." "The camera's small size means the controls are all small and set very closely together, causing some inconvenience, particularly for those people with larger hands." "The E-M5 is, without question, the most accomplished Micro Four Thirds camera we've yet seen and, given how well established the system has become, it vies for the title of most capable mirrorless option yet. It's not entirely without flaws and most of those relate to continuous autofocus. But, for the most part, the E-M5 is simply an awful lot of camera in a compact and attractive body. It's a nice camera to use and the images it takes are just as enjoyable. 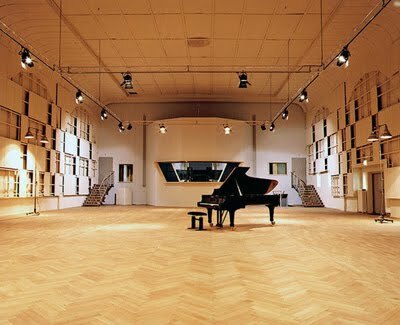 Without any reservations whatsoever, it deserves our Gold Award."